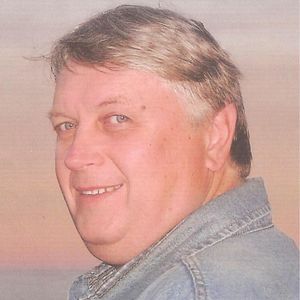 MILLEDGEVILLE, GA - Donald Hayden "Bucky" Roberts, 67, of Milledgeville, Georgia, died Tuesday, November 24, 2015, at Coliseum Hospital in Macon, GA. Bucky was born November 28, 1947, in Greenville, KY. He was a Central City High School graduate Class of 1965. He joined the U.S. Air Force and was a staff SGT/Jet mechanic. He worked for ITT in Reykjavik, Iceland in the position of communications technician, and also in Ankara, Turkey. He also worked for Dynalectron Corp/Aerospace Operations in Cairo, Egypt and was a communication technician in Martina Franca, Italy. Bucky retired from Robins Air Force Base in Warner Robins, GA as a supervisor for RPS. Bucky enjoyed a lifelong hobby of being a ham radio operator. He also built guitars and loved to play them and sing. He loved living quietly on the lake with his wife Connie and would canoe and kayak. Bucky also enjoyed going to the mountains. He was preceded in death by his father, Donald Roberts; and brother Dale Roberts. He is survived by his wife, Connie Roberts; son Don Ruben Moen Roberts of Norway; mother Ada Roberts of Macon,GA; sister Elaine (Walt) Roberts of Macon, GA; nephew Dane Yoshida of San Francisco, CA; and beloved cousins. Funeral services will be Sunday, November 29, 2015, at 1:00PM at Tucker Funeral Home in Central City, with David Jarvis officiating. Burial in Rose Hill Cemetery. Visitation will be Saturday from 4-6PM at the funeral home. The family wishes to sincerely thank Dr. Raj Gupta, Dr. Harinder Brar, and the team of doctors and nurses for their skilled nursing and compassion. They would also like to thank the Oconee Cancer Center in Milledgeville, GA and The Coliseum Hospital in Macon, GA. Online condolences may be made at www.tuckerfuneralhomes.com. Starbucks in Milledgeville GA sends our prayers to Mrs Connie and the Roberts family in this time of sorrow of Mr Dons' passing. May your love and memories see you through this time. Bucky and I were high school friends. The Roberts backyard on 4th Street and our backyard on 5th street touched. Such a nice guy and good friend. He entertained the "Class of 65" at our 50th Class Reunion by playing the guitar and singing some good ole' country music. It made for a very enjoyable evening. Rest in peace old friend. I was glad we had some time to visit at the reunion. Our thoughts and prayers are with the family in this difficult time. Bucky and I were boyhood friends from the time we were about six years old. We (and other neighborhood kids) spent countless hours roaming the woods behind our houses, or riding our bicycles out to the bluff at Green River, shooting our BB guns, playing records, playing games at the city park and we grew up at the city swimming pool. We went in different directions after high school graduation and lost contact. He was first class. He was everyone's friend and I sincerely wish we could have hooked back up and caught up on the missing years as well as reminiscing old days of past. My sincere sympathy is extended to Elaine and Ada and the rest of the family. I apologize for being absent from the funeral home but I have a pulled muscle in my calf and have been given doctor's orders to stay off it. May God bless and comfort you. So many fond childhood memories of Bucky. We, the Hawley Family, were next door neighbors for a lot of years. Praying for God's comfort for all of his family during this sad time. I'm so sorry for your loss and I'm so sorry I can't be there. Praying for you all during this difficult time. Bucky was a close and lifetime friend since grade school in Central City. His mother and mine were the best of friends and so we played games, sports, and even fished together some. I never heard a harsh word from Bucky in all my years of knowing him. The best remembrance of Bucky is that he is a role model seldom seen these days. Rest in Peace Buck and thanks for all the good memories. Myron. So sad to hear of another of our classmates passing. Condolences to the family. We worked with Don when he worked in the Computer Room (RPS) on Robins AFB. Don was a great Friend to everyone he met and it was an honor and pleasure to have known him. May God Bless all of his family and may the wonderful memories of him forever stay in your hearts.